Ricky Lee is a native Tennessean who retired after a 30 year IT management career with Nissan to pursue his lifelong ambition of living and working on Florida’s beautiful Emerald Coast. He first fell in love with the area as a teenager vacationing with his parents. Then, he and his wife Karen began to take trips down to experience many of the resort locations along the gulf coast from Biloxi to Mexico Beach. In 2005, they were able to realize their own beachfront dream by purchasing a condo in a newly constructed beachfront resort in Panama City Beach, Florida. 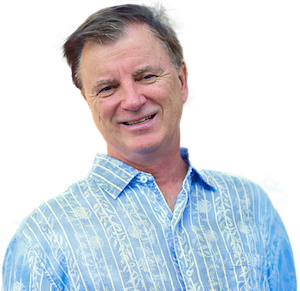 See how Ricky Lee was able to realize his own dream of owning his vacation beachfront condo in Panama City Beach and how that dream enabled him to retire to a beachfront life that he thought was impossible. They became so passionate and optimistic about the growth potential in this area that they purchased a second condo 3 years later and established their own resort property management company, VisitPCB.com. By leveraging their professional management and IT skills, owner loyalty, and their “customer first” attitude, they were able to quickly grow this business into one of the premier 25 unit luxury beachfront condominium management companies in Panama City Beach. Ricky has recently sold this business to some close friends in order to focus exclusively on vacation real estate sales. One of the reasons that he chose to join The Premier Property Group is its close association with Bob Parks Realty, a leading real estate company in Middle Tennessee. Many of Ricky Lee’s professional contacts, and hopefully future customers, are well aware of the outstanding reputation this company has earned. And, it quickly became obvious to him that this same culture has been brought to ThePPG. Ricky Lee has been very successful in leveraging his management and technical skills along with his many years of condo ownership and rental management into becoming one of the “premier” realtors on the Emerald Coast. He is able to sit down with prospective buyers and explain the entire financial picture of vacation property ownership. His financial analysis tools are immensely helpful in evaluating investment alternatives. Obviously, he is excited about being able to live and to work next to some of the “World’s Most Beautiful Beaches” and looks forward to sharing his knowledge of this unique real estate market, its investment opportunities, and hopefully the joy of “Turning Your Waterfront Dreams into Reality”!